New York City has long been on my list. Rather than the glitz of Manhattan I was looking for the alternative side of the city. Brooklyn is where the hipster revolution began. I stayed with a friend, who I recently met at a festival in Costa Rica, who kindly offered me his couch in Williamsburg. I explored Brooklyn in both summer and winter. There is so much to share so I’ve put together a list of the top 5 things you cannot miss. All perfect if you are on a budget! 1. Walk the Brooklyn Bridge. It wouldn’t be a top 5 list without it! It’s about 30 minute stroll end to end. Not only free but will also save you a train fare to Manhattan. Perfect when on a budget… win! If you are hungry pop into Shake Shack for a cheap feed and tick it off your NYC fast food list. 2. Have breakfast at The Bagel Shop in Williamsburg, Brooklyn’s bustling hotspot. 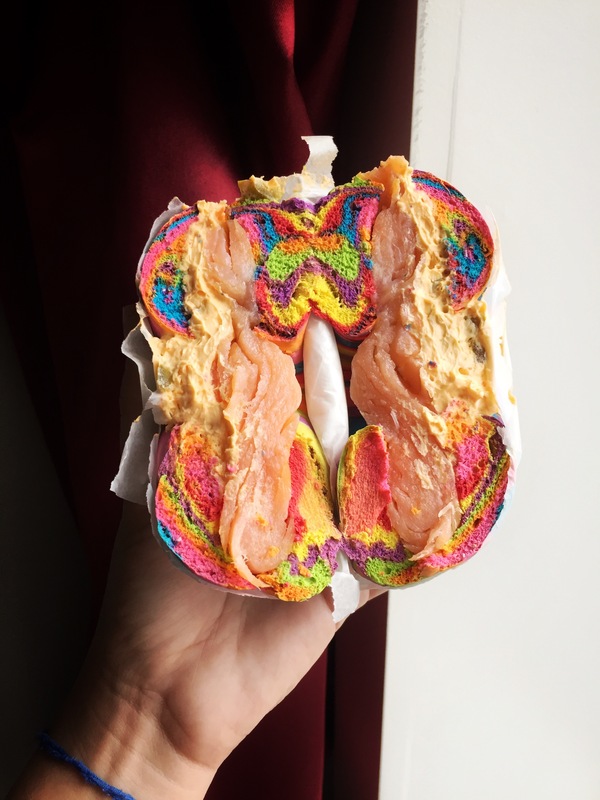 Famous for its rainbow bagels going crazy on Instagram. I went for the rainbow bagel with smoked salmon and jalapeño cream cheese. I couldn’t resist and had to leave with the cotton candy bagel with Oreo cream cheese. Oh my god! Make sure you grab some for later. 3. 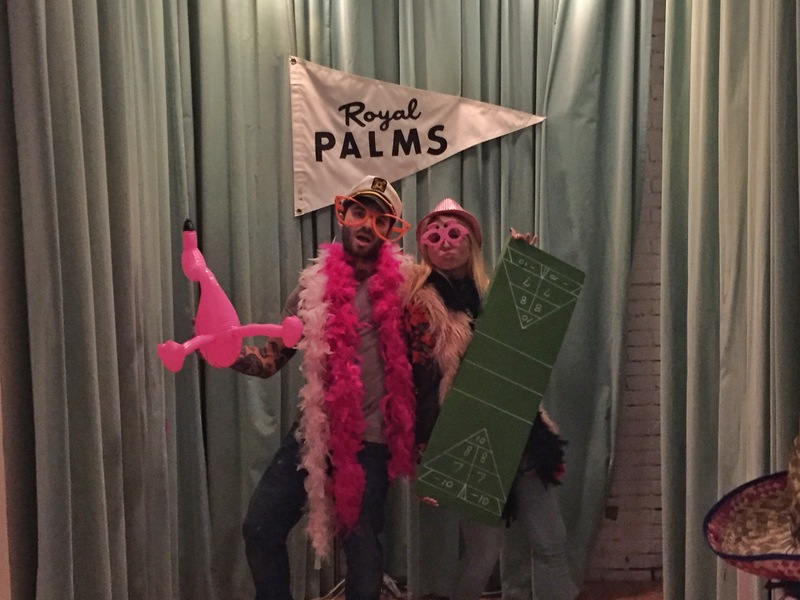 Play a game of shuffle board at Royal Palms Shuffleboard Club. It’s a game where players push weighted pucks down a long, smooth wooden table to a scoring area at the other end of the table. 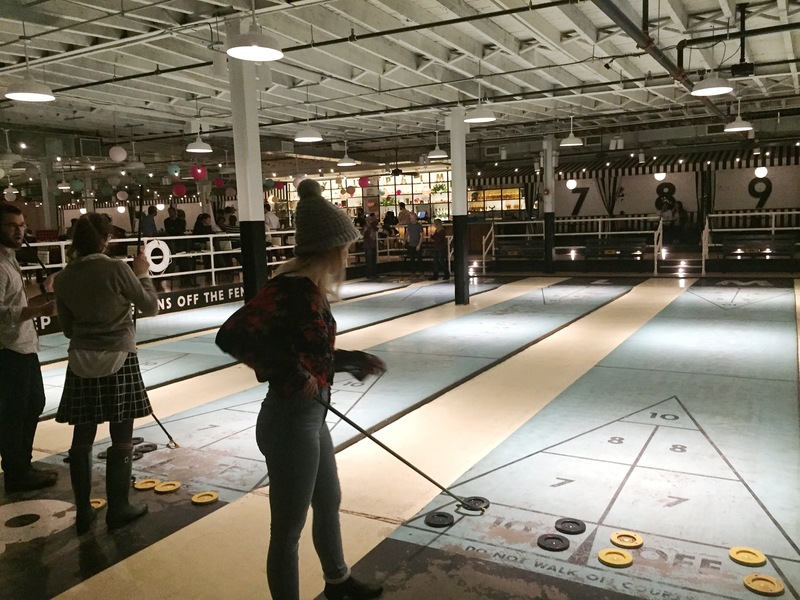 I’d never even heard of shuffleboard before! For Australians, think of it like lawn bowls. Same same but totally different and trust me it’s so much fun! Munch on delicious food van treats and wash it down with a cocktail. After your hour is up play some card games or make use of the free photo booth. 4. Go secondhand shopping to stock up on vintage and preloved clothes. There are so many options in Brooklyn! In Australia we call thrift stores ‘op-shops’ which is short for ‘opportunity shop’. No one understood me when I asked for directions for those hipster op-shops. 5. 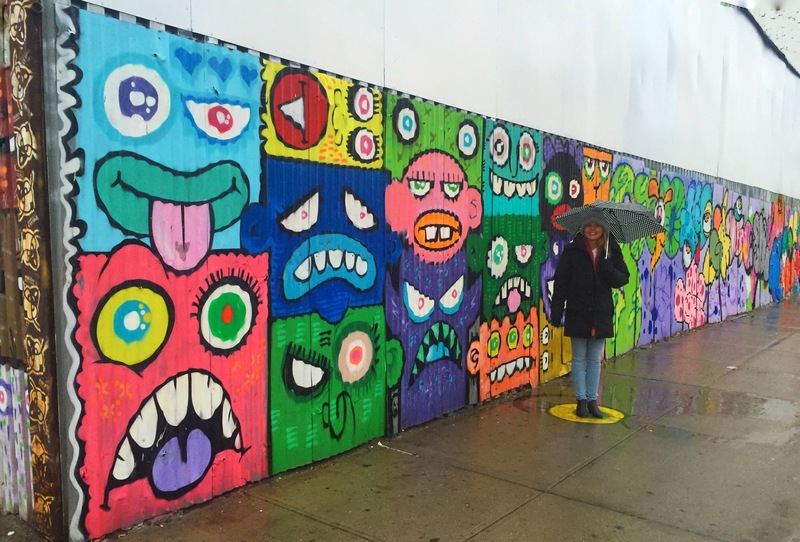 Get your street art on and walk the streets of Bushwick. 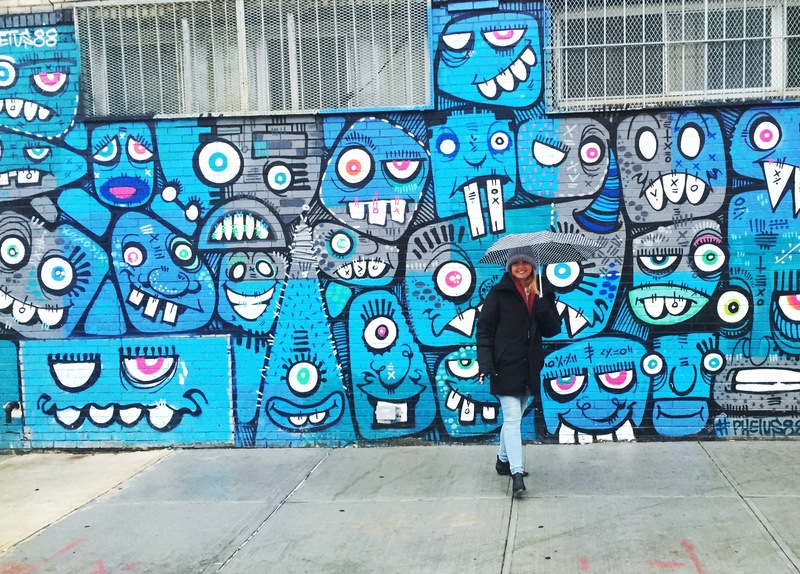 Bushwick has hundreds of artist studios and plenty of gallery spaces. The ultimate creative Mecca with streets full of incredible street art by both well known and upcoming artists. Know anyone heading to Brooklyn on a budget? Share it on…. Much love. Hope this list inspires your next adventure! Those murals look amazing! I will need to photograph those next time I am in the NYC area. Great tips.